Dee Gray, Rea’s premier payroll professional, is with Dave on unsuitable on Rea Radio to discuss the importance of payroll and how to properly manage it. Managing your business’s payroll requires you to do more than just write a few checks to your employees each month. For example, when you hire a new employee, you have to collect a lot of information before you can even think about putting them to work for you. But do you know what all that information is and why it matters? And after gathering your employee’s information, do you know which forms you need to maintain in the event you are called on to be audited? 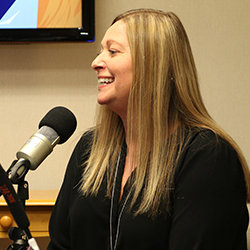 There are a lot of questions (and repercussions you want to avoid) when it comes to payroll, so Dee Gray, a certified payroll professional and client service specialist in our New Philadelphia office, is on unsuitable on Rea Radio to help us understand the payroll function a little better. Payroll 101: DIY or Outsource? Payroll can trigger a huge risk to business owners – risk you may not even know about it until you get a letter from the IRS. So there are distinct benefits to leveraging someone else’s expertise and processes by outsourcing it to a payroll provider: they can minimize potential problems, and then if issues do pop up, you’ll have someone who can walk you through the process of handling them. However, if there are any errors, the responsibility and liability falls onto the business owner – so even if you’re outsourcing payroll, make sure to double check everything! We even outsource our payroll here at Rea, but we also have internal controls in place to review every step of the process. What you can do if you’re past the deadline for submitting W-2s, 1095s, or 1099s (or if you discover there’s an error). What employee forms you should have and maintain in case of an audit. How you can introduce additional controls or checks and balances into your payroll processes. So What’s The Deal With That Mismatch Notification Letter? – If you receive a mismatch notification letter, it will clearly state the reason why you’re receiving it and will detail the number of mismatches. Read more to find out what else to expect. Overtime and Wage Errors Corrected with PAID Program – The PAID program not only pushes employers to review their wage practices but provides compliance assistance, too. The primary goals of the program are to promptly resolve claims without litigation and boost employer compliance with overtime and minimum wage obligations. Major Form W-4 Revisions Postponed Until 2020 – IRS considered strong feedback from tax and payroll professionals and has decided to give employers more time to prepare themselves for revision implementation until 2020. Payroll Diversion: The Latest in Cybercrimes – Your employee’s payroll accounts are now being targeted by cybercriminals. Read on to learn how to stop them.